How Do You Deduct Tips You Pay In Cash While Traveling (To the Bellboy, Cab Driver, Housekeeping, etc) on your Taxes? I’m currently working in Detroit and just was thinking about when I’d have some time to change a twenty for a bunch of ones when a friend of mine posted on Facebook asking about how, for her taxes, she can deduct cash tips she paid out while traveling. I realized that I didn’t exactly know the answer to this except that my usual way of deducting the tips I pay out to people in cash is mild guesswork. I know that when I travel for work I almost always tip housekeeping about $2-$3 a day. I rarely use a bellboy to bring my suitcases anywhere, but maybe would use one approximately 4 times a year in order to help me carry something or other up, and tip $2-$3 each time. I’d tip a shuttle driver about $3 about 8 or 9 times a year. Etc, etc. Make sure you deduct your cash tips to hotel or transportation staff anytime you travel for work. The tips are actual valid deductions. If you’re self-employed, these are no-brainer bona fide travel expenses. But even if you’re not self-employed, if you end up traveling for work, the tips you pay in cash while traveling can absolutely be deducted if you’re itemizing deductions. The deduction would be under ‘business travel expenses’ and the way you would note them in your records would be to write the tip amount on some form of receipt related to the trip in question. So, for example, if you tipped housekeeping and the bellman during a business trip to Detroit, you would get the hotel receipt (even if it was $0.00 because your company paid for the hotel) and write the cash amount paid on the sheet of paper. Then you would keep that for your records. This may seem like nickel and dimeing, but these deductions are valid and can really add up, so you might as well take them if you travel a lot for work and are itemizing your expenses. In our thirties, we should try our darndest to get better at doing our taxes the best we can, so we can keep the most money. We might as well- why lose the money you’ve worked so hard to earn? View from my hotel in Detroit. I’m here for 16 days, and a lot of tipping happens in all that time. Oh man, it’s getting to be tax time soon. Has anyone already filed their taxes? If so, good for you! Kudos! In honor of the advent of tax season, and taxes starting to be on the forefront of everyone’s mind, I’ve compiled a list of common tax questions that are relevant to those of us in our thirties. The first few are pretty basic ones which you may have already figured out, and then they get slightly more detailed. Of course, tax answers are rarely simple, so you should make sure to triple check everything for your own personal situation. And I’m splitting this into sections, so you’ll get more tax question and tip articles as April 15th approaches. 1. Should I use tax software this year? Which program? I used to use H&R Block’s tax software, which I think is pretty good. It’s about $20 for a basic program, and $65 for self-employed software.Turbotax is also quite popular- and it’s base cost is free. Once my self-employment taxes started to get really complex, I hired an accountant. 2. Should I get an accountant? Only you know whether you need an accountant based on your personal situation. However, I think you can almost definitely make do with simple tax software if you are an employee with only one job and all you need to file is your w2. If you have side income from anything (rental income, side jobs, etc), you may want to consider an accountant- however, I think you still may be able to use tax software successfully. If you’re self-employed, I recommend considering an accountant, if only to protect yourself from accidental audit triggers. You can even find accountants on Yelp now. My goodness, I love Yelp. 3. How much do accountants cost? CPA’s (Certified Public Accounts) charge anywhere from $150-$400 or more. But you can definitely get a great accountant for less than $400…read those Yelp reviews. A funny bonus of having an accountant is that your tax prep fee is actually tax deductible! 4. Does last year’s tax refund count as income this year? The answer to this is almost always no if you took the standard deduction. If you itemized your deductions, it may count as income- look into it. 5. What documents do I need to do my taxes? You need all your w2s (if you work only one job, you’ll have only one w2). You’ll need all your 1099s if you’re self-employed or have side income. Also, it’s important to have documentation of any interest you made on any of your savings or investments (you get taxed on this). 6. If I made very little money this year, do I still have to file taxes? Officially, for 2014, if you’re under 65 and filing as single and independent, you don’t actually have to file your taxes if you made under $10,500. If you’re married and filing jointly and under 65, the number is $20,300. Here’s a chart with more details. However, you may still want to file taxes for several reasons- one of which is that if you had taxes withheld, you can’t get your tax refund without filing. Here are a few other reasons. 7. What are some deductions I can take to help reduce what I’m paying on my taxes? Have you deducted the interest you’re paying on your mortgage or student loan debt? Have you deducted your health care costs? Did you spend lots money to move for your job? There are some great deductions you may not be using to your advantage. Mashable goes into fantastic detail on this here. Hope this has helped you with some of your questions- feel free to comment below with additional ones- I’d love to hear from you! 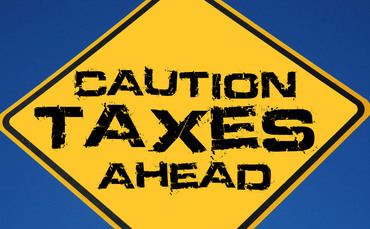 Look out for more tax info here soon, and good luck filing!